WSL and organizers of the Boardmasters festival are excited to announce the return of professional longboarders to the iconic Fistral beach this summer. 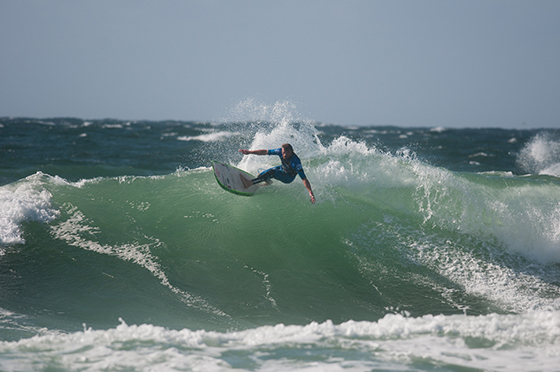 The Boardmasters Longboard Pro, a Men and Women’s LQS1,000 event, will gather Europe’s best talents from August 8-9, 2015. A classic surf and music festival in the U.K, the Boardmasters feature a total seven surfing divisions across all ages and an impressive lineup of international artists to rock the music side of the festival. Fans and festivalgoers in their tens of thousands are expected to descend upon the heart of UK surfing, Fistral Beach and watch their local heroes as well as global stars battle it out. A first in Boardmasters Longboarding history, the Women’s event will add a little bit of poise in the water making the Longboarding events even more exciting to watch.